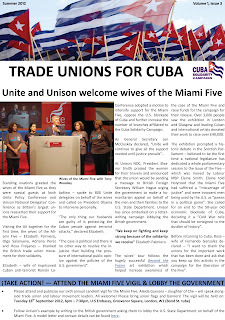 The third issue of the Cuba Solidarity Campaign’s eNewsletter ‘Trade Unions for Cuba’ is now available online. 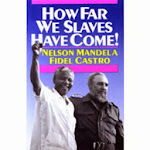 The newsletter aims to celebrate collaboration between CSC, British trade unions and trade unions in Cuba. It brings up-to-date news on trade unionism in Cuba, reports on CSC’s work with unions domestically, mobilises campaigns and promotes events, brigades and tours. 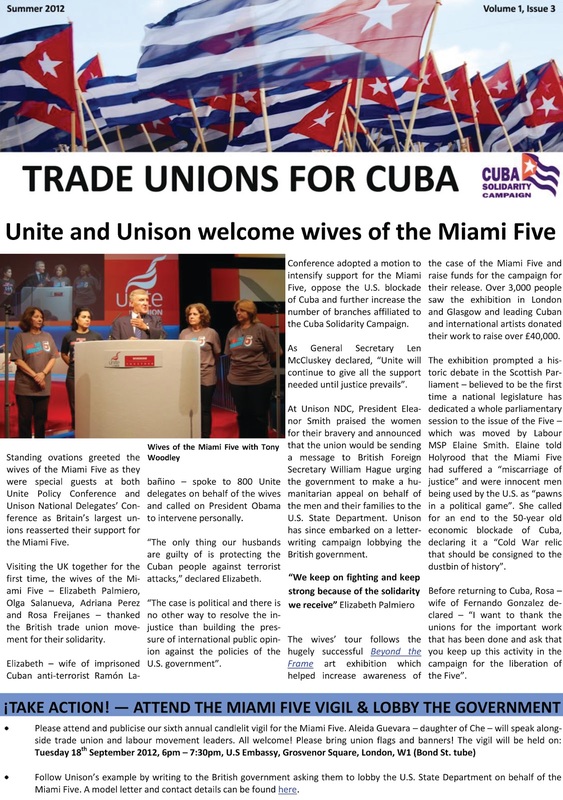 The Summer 2012 editions reviews the recent visit of the wives of the Miami Five to the UK and reports on CSC’s trade union conferences throughout the Spring. 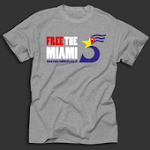 It also features previews of exciting events coming up at TUC Conference, Labour Party Conference, the Vigil for the Miami Five and Aleida Guevara’s ‘Remembering Che’ speaking tour.